When it comes to repairing your vehicle after a collision or freak accident, quality is top priority. We handle work for individuals, local entrepreneurs, along with large companies and corporations. 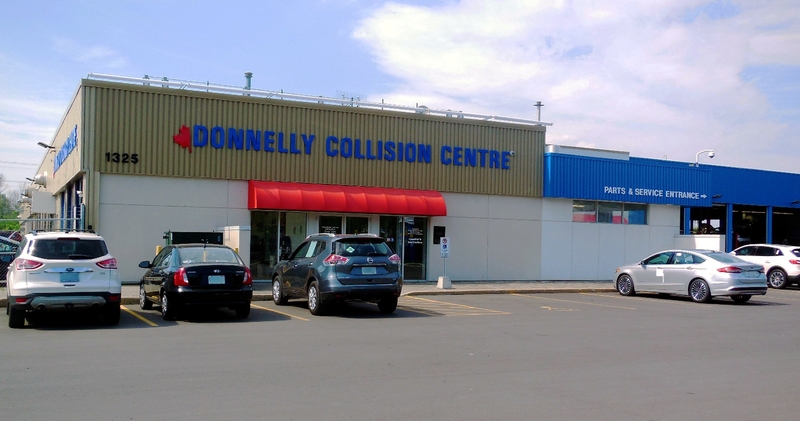 In fact, the Donnelly Collision Centre is a direct repair facility for most major insurance companies. That’s the Donnelly expertise you won’t find anywhere else. Along with our second-to-none results, we also strive to be accountable to our customers and environmentally responsible when repairing the countless vehicles that come through our collision centre. The Donnelly Collision Centre – a 20,000 sq ft facility – uses water based paint which is just one of our many green initiatives. We also recycle all cardboard, paper, metal, plastics and chemicals that come into the collision centre. The collision centre is fully equipped to handle virtually any body related issue and the facility is always improving. We recently installed a new aluminum room that allows us to do in-house work on the ever expanding segment of personal and commercial vehicles with aluminum bodies. Put your trust in the Donnelly Collision Centre. We will get you back on the road with a quick turnaround time and can bill your insurance company directly in most cases. All of this allows us to fulfill our vision of creating a truly exceptional customer experience. We will restore your vehicle to factory specifications and include a lifetime warranty on our repairs.